Unit 4 Merlin Way, Bowerhill Industrial Est. Melksham, Wilts SN12 6TJ, UK. 300cc syringe - one handed pump operated to clean/flush out equine mouth. 400cc syringe - two hand operated to flush/clean out equine mouth. Long t bar handle mouth mirror for looking around the equine mouth. 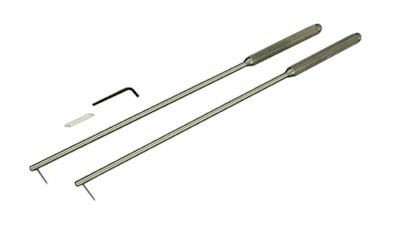 long alligator forceps for removing debris from equine teeth/mouth. 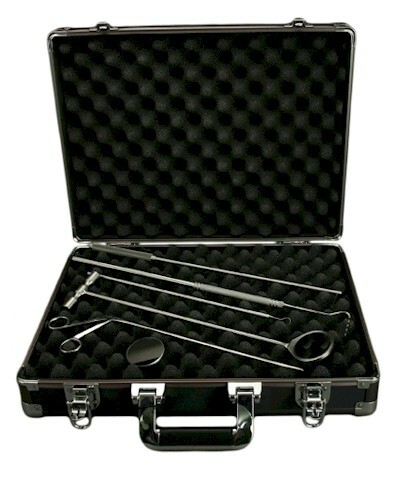 Kit includes mouth mirror, replacement mirror, 2 needle picks, Alligator forceps, periodontal probe,dental explorer and carrying case. 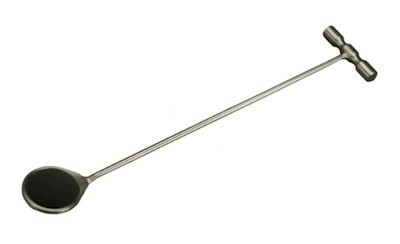 Robust T bar handle scaler. Fine dental explorer for gently and carefully exploring dental teeth. 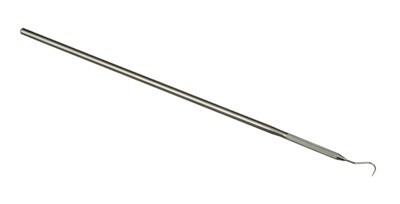 Robust style pick with two different inserts for removing debris from equine teeth. 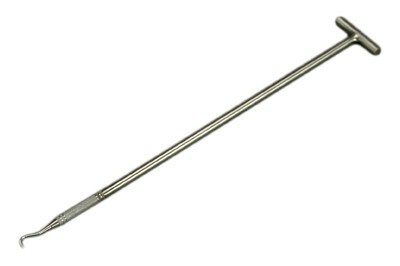 Needle pick for carefully removing debris from equine teeth. One of the lightest headlights on the market with two slim line LED spot lights mounted vertically following the nose line. No cords, powered by "AAA" batteries. 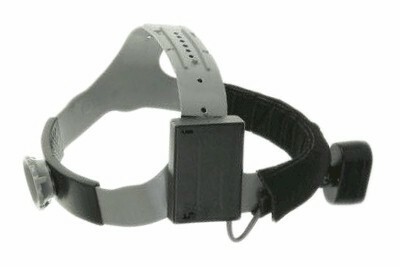 Fully adjustable and fits all head sizes. Unit 4 Merlin Way, Bowerhill Industrial Est., Melksham, Wilts SN12 6TJ, United Kingdom.